NOTE : This was a one time event and history now. 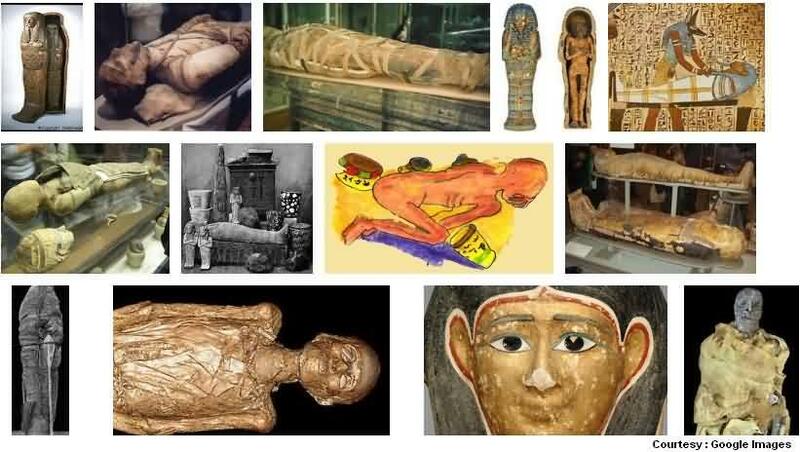 As of November and December 2012 being the welcome to 5 Egyptian Mummies that is inside museum brought from British Museum to be exhibited at Shivaji Maharaj Museum at Fort, Mumbai. As per news it took about 3 crores to get this grant exhibition of 5 Mummies together. Its a 4 month long show that will detail about old mummies by Neil MacGregor, the Director of British Museum and Sabyasachi Mukherjee, Director general of CSMVS of Mumbai. About 5 to 6 thousand visitors are expected daily for this exhibition at Mumbai’s iconic fort museum, with about 110 varieties of art conservation friendly objects that has been used. Since March 2012 the work around for this exhibition was started with Art Conservation Specialist like Anupam Shah, Omkar Kadu, Nidhi Shah, Vaidehi Sanval working and planning for same. All legal formalities related to exhibition has been taken care of like Agreement Documents, Insurance Policies, Branding and Pricing and Merchandising Agreements etc. Each and every Objects used inside Exhibition related to Mummies has been per-photographed before reaching Mumbai city. If you are still not clear about how to reach and where is the exact location of this exhibition in Mumbai, Then Check the How to reach Shivaji Museum for same.